Spicy Avocado Toast Serves 4 Toast 4 thick slices of bread. Drizzle with olive oil. Scoop teaspoons of flesh from 2 avocados and arrange on the toast. Mix together 1 tbsp lime juice, 2 tbsp olive oil, 2 tsp Bart coriander in sunflower oil and salt. Drizzle over the avocado. 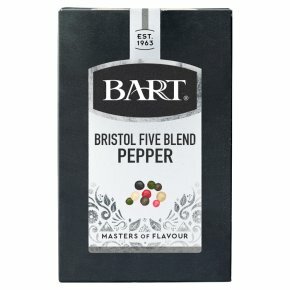 Grind a generous amount of Bart Bristol Five Blend Pepper over.